After the success of the first two seasons of 10PL, plans were announced for an even bigger Season Three of the world’s biggest ‘tennis-ball cricket’ tournament. The third edition of 10PL will be held in the UAE from March 25-29 this year with more teams from the Indian subcontinent expected to add to drama. 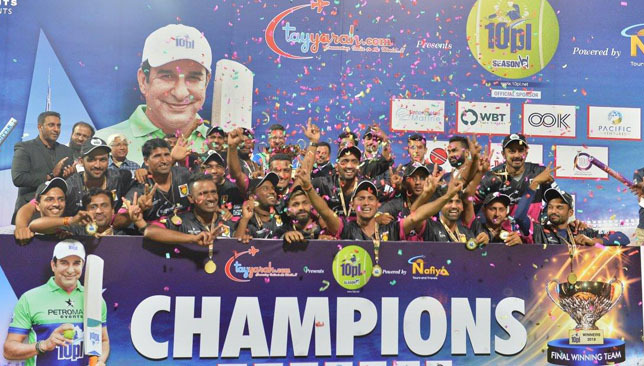 The first two editions of the tournament were staged at the Sharjah Cricket Stadium while this year organisers are looking at one of two possible venues – Sharjah and Dubai. Tennis-ball cricket is how some of the biggest names in world cricket started off. Stars like Wasim Akram, Waqar Younis, MS Dhoni, Jasprit Bumrah and a host of other names started their careers playing tennis-ball cricket. Now wonder iconic names like Virender Sehwag and Akram were brand ambassadors of previous editions. For this year’s edition, teams from India, Dubai, Abu Dhabi, Pakistan, Saudi Arabia, Oman, Qatar, Kuwait, Bahrain and Sri Lanka will be seen in action. “There are some grand plans for the second season. We at Petromann Events are excited about the tournament this year. We are hoping to come back in a bigger way than last year. The associations that we have built will continue to aid us in our plans. In particular all the sponsors and partners that were associated with us will benefit us in a big way,” said Abdul Latif Khan, promoter, Petromann Events. The tournament boasts the biggest prize money for tennis-ball cricket at Dh 250,000. The 2019 edition will also be streamed live on YouTube and also on the official website www.10pl.net. Last year saw the presence of established international players like Pakistan’s Kamran Khan and Umar Gul. Hashim Amla helped steer South Africa away from trouble early in their second innings of the third Test against Pakistan as the Proteas ended the second day with a lead of 212. 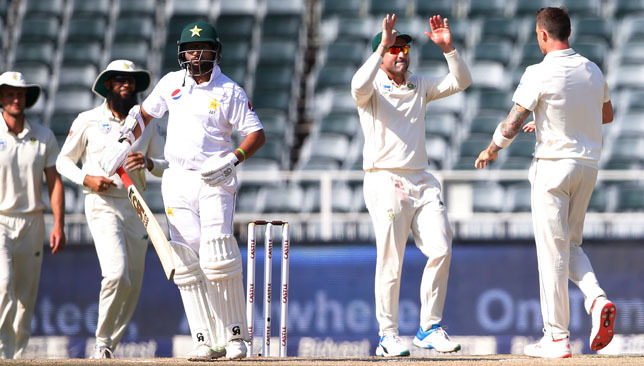 South Africa had been well on top as Duanne Olivier took five for 51 to help bowl Pakistan out for 185 in less than 50 overs in Johannesburg – giving the hosts a strong first-innings lead. Pakistan were set a target of 381 and reached 153-3 at stumps. Former Australia captain Steve Smith’s participation in the Ashes could be in doubt as he needs elbow surgery. Smith’s 12-month ban following the Cape Town ball-tampering scandal is set to end on March 28. The 29-year-old could have found himself back in contention for the baggy green again ahead of the World Cup and the Ashes, which are both to be staged in England. However, following the ligament problem in his right elbow which forced him to stop playing for the Comilla Victorians in the Bangladesh Premier League, it remains to be seen how much recovery time the 29-year-old will now face. 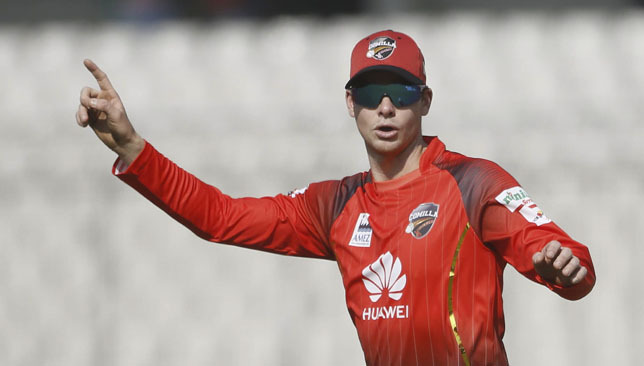 Cricket Australia revealed Smith is set to undergo surgery on January 15, and is expected to be in a brace for around six weeks, followed by a period of rehabilitation. “Return to play timeframes will be clearer once the brace has been removed,” a spokesperson for Cricket Australia said. Smith’s ban applies to international and domestic cricket, but he has featured in T20 leagues in Canada and the Caribbean. The former Australia captain had spoken of the “dark days” which followed the fall-out from the ball-tampering scandal in South Africa. Cameron Bancroft’s attempt to manipulate the ball with what was later revealed to be sandpaper was a plan orchestrated, according to a Cricket Australia investigation, by vice-captain David Warner. Smith was found to have known about the plan midway through the third Test against the Proteas in Cape Town in March but failed to prevent it and, as such, all three players received lengthy suspensions. The former captain, who is unable to hold a leadership position until 2020, had talked about the possibility of a return to international action for Australia in England, adding he would be ready to face the “incredibly hostile” home crowd if he were back in the fold. The 2019 World Cup opens with hosts England against South Africa at The Oval on May 30. Australia are scheduled to play their first group match against Afghanistan in Bristol on June 1.